The City of Hoboken is beginning the transition process of identifying a new Police Chief and is opening up the Chief’s test to all Captains and Lieutenants. 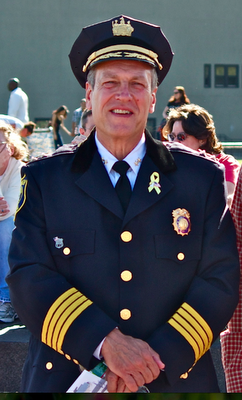 Police Chief Anthony Falco will be mandatorily retiring on June 31, 2014. Under New Jersey State law, Police Chiefs must mandatorily retire at the age of 65. Police Chief Anthony Falco will retire by law next June. The search for a new police chief begins. Talking Ed Note: What do you think a more professional Hoboken Police Department under new leadership will mean?